This is the power point I used at the March workshop. 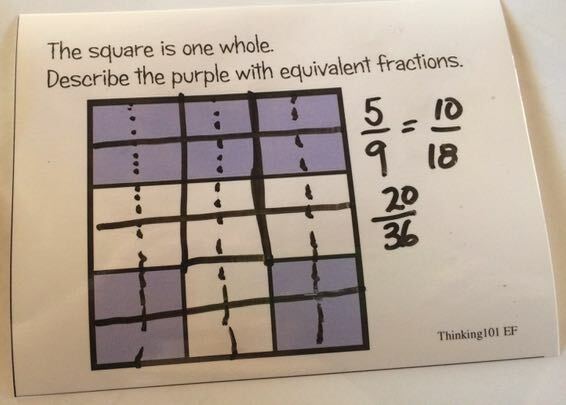 that has some ideas for using Quickdraw to build improper fraction thinking and for working with my cool fraction cards. Here are the Quickdraw files I shared with the group. If you want access to more just email me glorway@thinking101.ca. You can purchase a full set from me for $40.